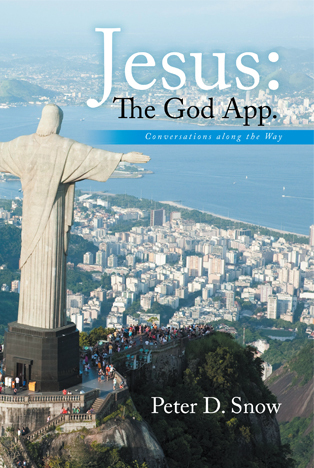 The title, Jesus: The God App, reflects the dynamic role Jesus of Nazareth and the Risen Christ play in our spiritual lives. In modern terms, Jesus of Nazareth lays out the Users' Manual for a new access to the Divine, and the Risen Christ becomes the access point or pathway to God. In ‘Jesus, The God App’, the author shows how the Jesus of Nazareth we find in the gospels lays out a kind of Users’ Manual for access to the Divine. This means that in present time, the historic Jesus acts like an App, enabling us to recognize, trust and respond to the Risen Christ, who in turn becomes for us the access point and pathway to God. To avail ourselves of this program we have to study the user’s manual. In other words, we have to know and be able to use the instructions embedded in his teaching and ministry. Beyond just knowing what Jesus taught, we have to meet the person himself. This book introduces you to the person of Jesus, in a straightforward and direct way. Read it and you will want to go back to the gospels and check the author’ point of view. All kinds of titles were given Jesus: they are not terms we would choose today. Each described how the Risen Christ was experienced by the earliest Christians. These terms don’t do that for us. In our time the opening of a computer program gives access to database, functions, and menus that lead us into a new world. This describes the function of the Risen Christ. He opens the pathway to an interactive life with the Divine. This is what sets the Christ apart from other holy people. His role is quite different from that played by Buddha, Mohammed, Confucius or a host of other holy people who are justifiably revered. This function of the Christ differentiates Christianity from other faiths and it is crucial for us to understand.